iPad mini? 13-inch MacBook Pro with Retina Display? Even a little more? Apple has sent out invitations to what world+dog assume will be the introductory event for the oft-rumored iPad mini. And as expected, said soirée will be held on October 23. 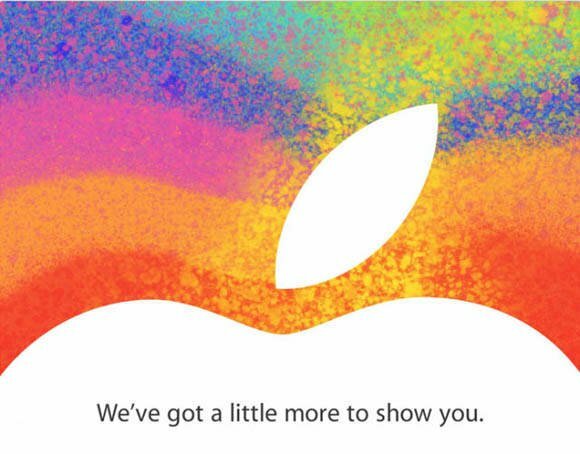 The invitation's tag line certainly hints towards the introduction of the expected 7.85-inch iPad: "We've got a little more to show you." But after the recently surfaced rumor of a 13-inch MacBook Pro with Retina Display – a shrunken version of the 15-incher released in June – the "little" theme may cover another possibility. And to stretch the entrail-scrutinization even further, there's also a rumor of a new 21-inch iMac – one with an "epoch-making" design. True, 21 inches isn't exactly "little", but it is smaller than the current top-of-the-line 27-inch iMac, and a hair smaller than that all-in-one's little brother, the 21.5-inch iMac. We hasten to admit that such tea-leaf reading is quite silly, but parsing Apple's invitation teasers is part and parcel of the art and science of Cupertinian rumor-mongering. The exclusive event will be held at San José's historic California Theater. Your Reg reporter remembers attending an Apple event introducing the U2 iPod at that venue back in 2004, when he worked at the late, lamented MacAddict.